American Ryan Martin and British fighter Terry Flanagan are ready for the Season II and the quest for the Muhammad Ali Trophy in the 140lb edition. “I’m very happy to compete in the World Boxing Super Series and look forward to proving myself against the other top fighters in my division,” said Martin. 25-year-old Martin (25-0, 12 KOs), born and raised in Chattanooga, TN, won several National Amateur Championship before turning pro in August 2013. Now he sets off to make an impact on the 140lb tournament in the World Boxing Super Series. The nickname ‘Blue Chip’ – which can be translated to destined for stardom – fits the ambition of the young American perfectly. 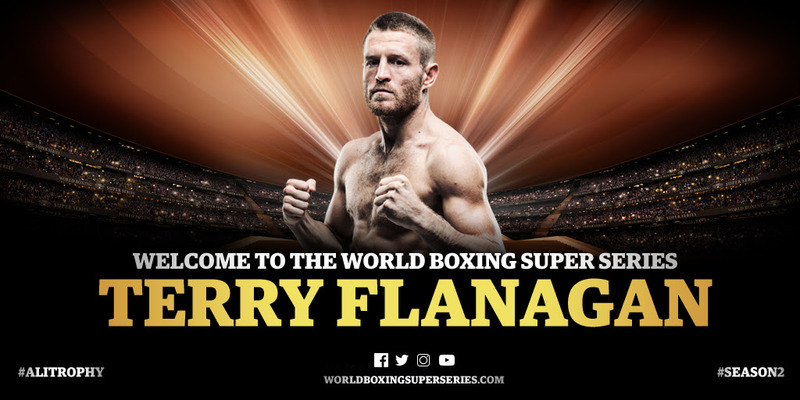 29-year-old Terry Flanagan (33-1, 13 KOs) of Manchester, UK, a former WBO World Lightweight Champion completes the spectacular 140lb list. “I’m excited to enter this tournament with some of the best fighters in my division,” said Flanagan, also known as ‘Turbo’. On Friday 20 July, all participants of the Bantamweight and Super-Lightweight editions of Season II will come face-to-face at the Draft Gala at the Rossiya Theatre in Moscow, Russia.